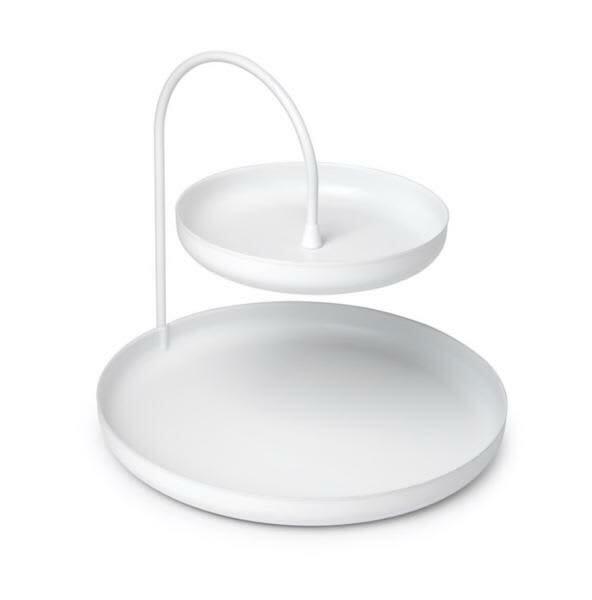 Two Tier accessory tray. Perfect for storing your rings, earrings and other accessories. Plated metal in a matte white finish. Poise measures 8 x 7 inches while giving you storage, easy access, and visibility to your accessories. Its felt-padded base will protect any surface it sits on. Bramley and White in Farnsfield, United Kingdom.